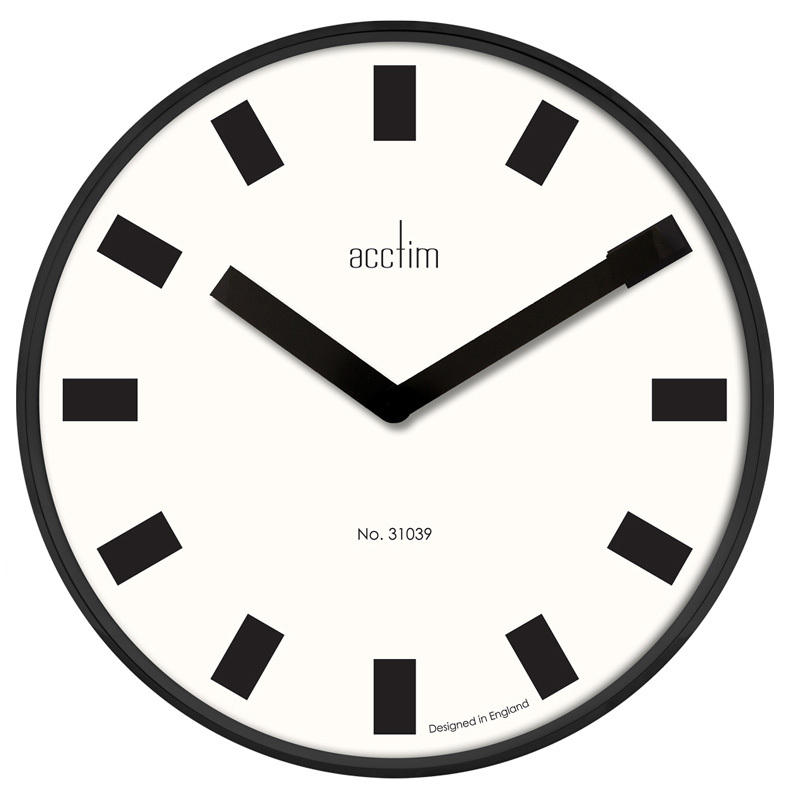 Show off your cutting-edge modern sense of style when you hang this striking clock on a wall. It is fashioned from metal and features a glossy black case with a white face. Chunky baton markers indicate the hours and the hands match in a rectangular design. Perfect to enhance your monochrome themed TV room, dining area or kitchen. Glass lens. Creates a focal point on a wall with its large size at 40cm diameter.